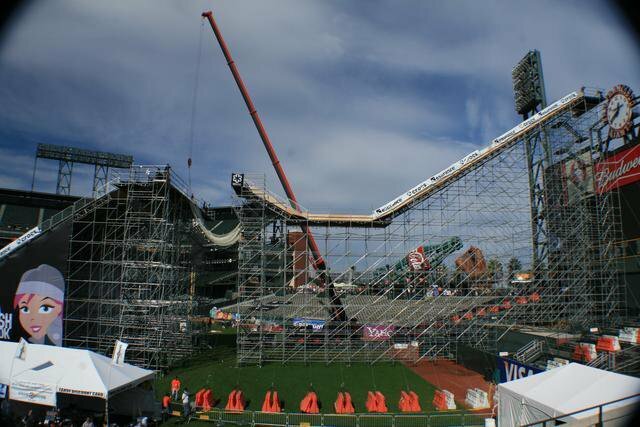 Words and photos by Scott Shoemake (BillyBecker)The event that everyone was, is, and will be talking about, the Icer Air, went off on Saturday at AT&amp;T Park in beautiful San Francisco. After going to sleep at 4:30 in the morning (in my truck), I rolled up to the parking lot about 9:00. The jump was the first thing I saw and it took my breath away, just like it did many of the skiers and riders who knuckled this insane contraption. As I made my way into the stadium, I could feel the buzz of excitement in everybody. 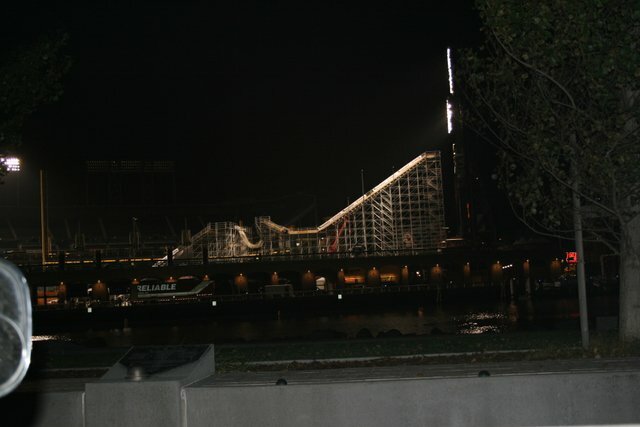 People were definitely stoked on seeing some skiing and riding, and a crowd of over 30,000 had come out to watch the show.I cruised over and talked to the brave souls who were to hit this monstrosity, and they were definitely not running up the steps of the scaffolding to hit it. The jump was sketchy to say the least. Here is the breakdown (not my opinion, but straight from the pros): The in-run was too slow: skiers were polewhipping each other in, urban rail style. The transition was a joke composed of two 45-degree angles that made you compress super hard. The gap was scary with a circus net that actually caught a female snowboarder and probably saved her life. The knuckle was claiming many, and the landing was icy, too short and too narrow, with 2x4s of death on either side. 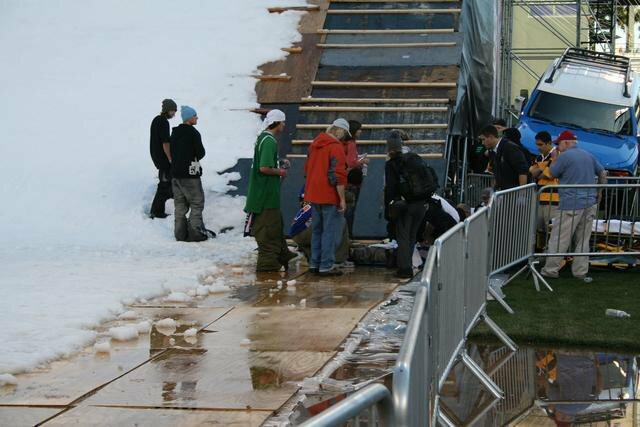 To top it all off, the riders had to climb some a long, narrow set of stairs, skis shouldered, all the way to the top for each hit. I’m trying to be nice, especially because the event was put on so well except for the jump. ICER really held it down with the accommodations, all the California resorts were there, and lots of cool booths were on hand from Skullcandy, Crocs, Sessions, Helly, Line and others. 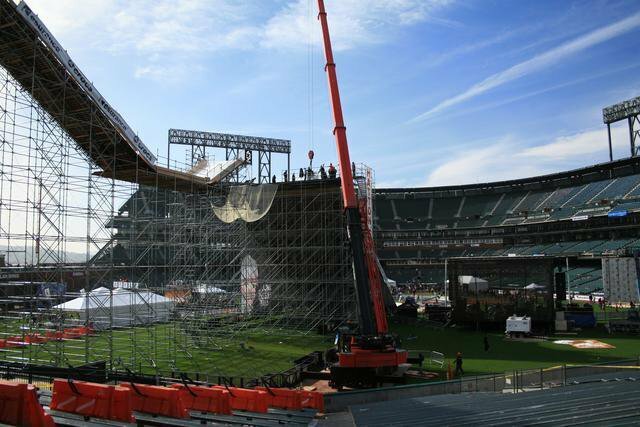 Add a nice vert ramp with Tony Hawk sessioning it, wakeboarding on the bay, Ladytron and Jurassic 5 headlining the stage and of course our favorite pro skiers and riders in a major league ballpark in California. Everything was very impressive. Now for the skiing. Qualifying and practice was running late because they had to install the circus safety net (Ringling Bros represent!). 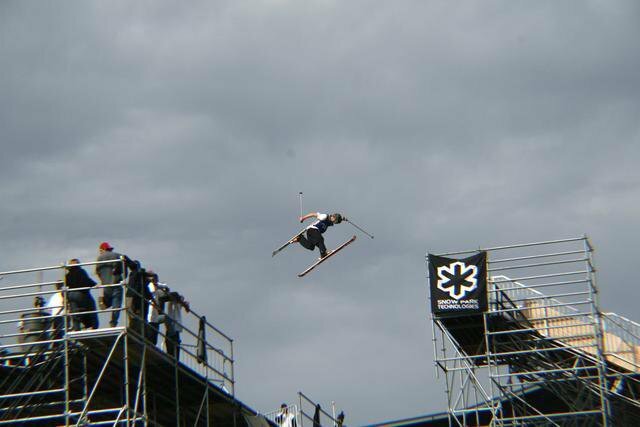 I don’t know how much money the rest of the skiers paid him to guinea it, but Tae Westcott hit it first with a straight air without incident. Next came a barrage of casing, knuckling, some nice jumps, and some thrashing on the 2x4s. The skier who stood out in the qualifiers was definitely John Spriggs (check out Rage Films’ Corduroy). He was throwing some tweeeeaked cork 7 mutes. After qualifying Spriggs, Josh Bibby, and Chris Benchetler made it to the finals. Leave it to Bibby to bring out the screamin' 3. 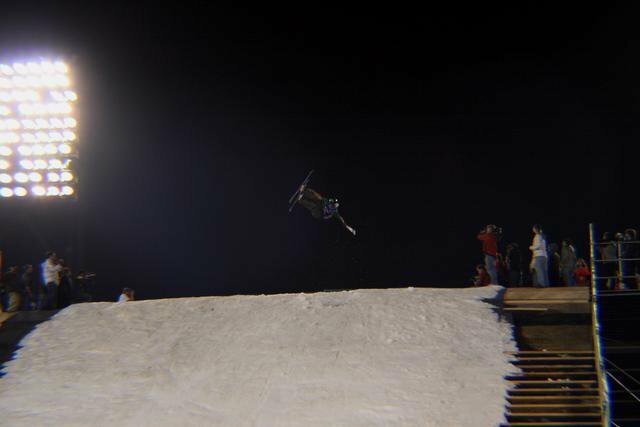 Spriggs lost his goggles, hat and headphones on this cork 7.In the women’s finals the girls came out bangin’. 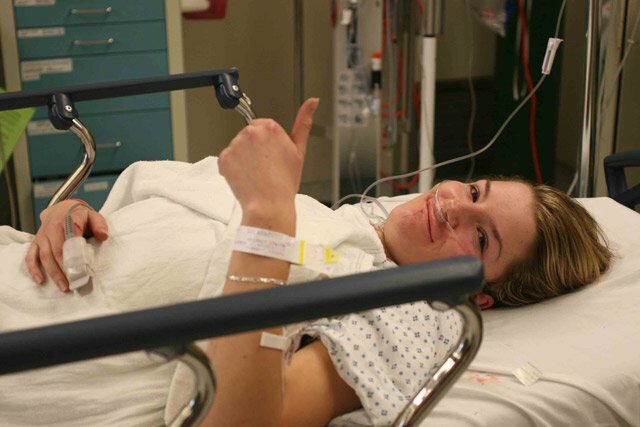 Kaya Turski threw a sick 5 but the landing was sketch, and she slid into the 2x4s at the bottom of the landing and is currently hospitalized (see the update below for more info on Kaya's condition). 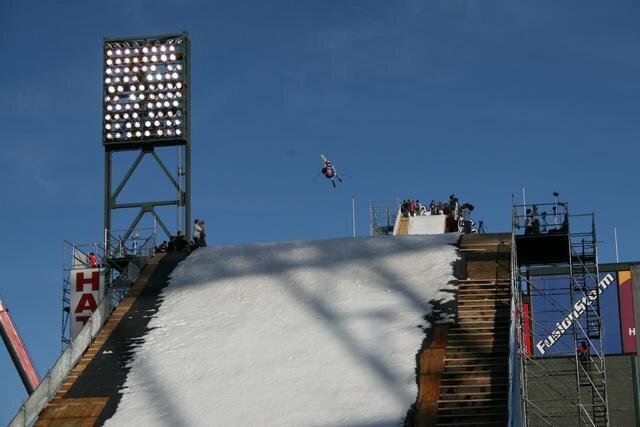 Michelle Parker was going big (I don’t know how she got the speed, she’s so small—probably a lot of ICER). Shidasha Holmstead threw down a cork 3 like Ant style. You have to hand it to the ladies, they didn’t just jump, they threw down on a gnarly gnar jump that even the guys were timid about hitting. Way to go ladies. In the men’s finals everyone pretty much had the contraption dialed in, and the spins were flowing. 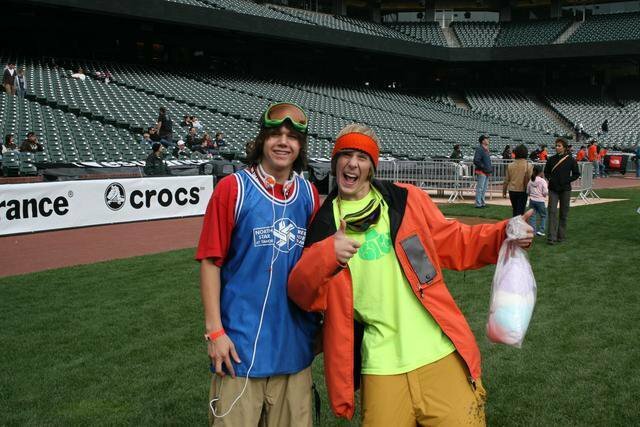 Sammy Carlson’s switch 9 was richter and last year's winner T.J. Schiller threw a huge 1080 mute. 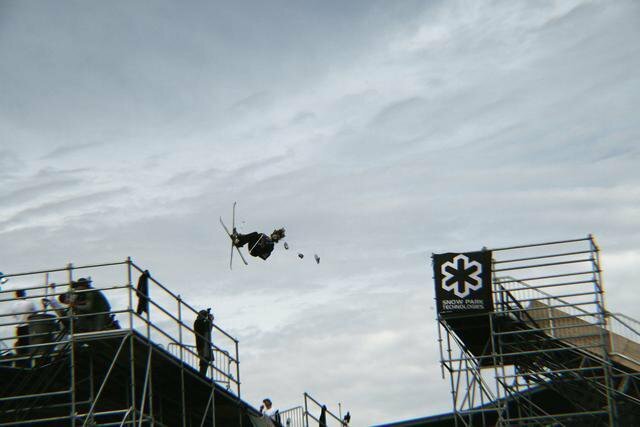 Jon Olsson threw a nice switch 9. Steele Spence threw a 10. Pete Olenick’s misty 5s were golden, but you gotta spin to win. Even Pep threw a clean 9—yes, Pep Fujas threw a spin over 7, get over it. It was inspiring to see these guys take a ridiculous jump (Jon had some more choice words for it and even said them on the live interview) and make something out of it in front of thousands of people. True talent overcomes adversity and shoddy jumps, and it shone in SF on Saturday. 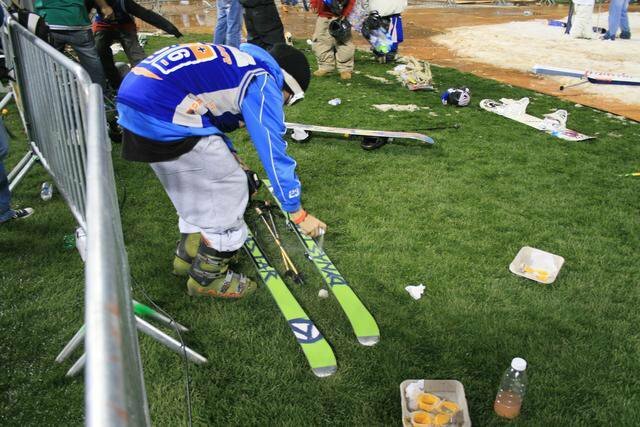 Oh yeah, and even Johnny Moseley threw an x'ed-up back and a mute 360, Nagano style. Scared of the knuckle? Thank goodness for Icer. Vanular waxes up. Want to know what Boyd's been up to? He's lazing around Cali surfing, golfing, and repping his new hook-up, Oxia Personal Oxygen (intended as a booster for professional athletes). &quot;I'm still living the life, just in another world,&quot; Boyd says. Peter Olenick lays out a smooth misty 5. You know the rules by now, Pete: spin to win. Some NS members out for the show. NS schralpers represent. 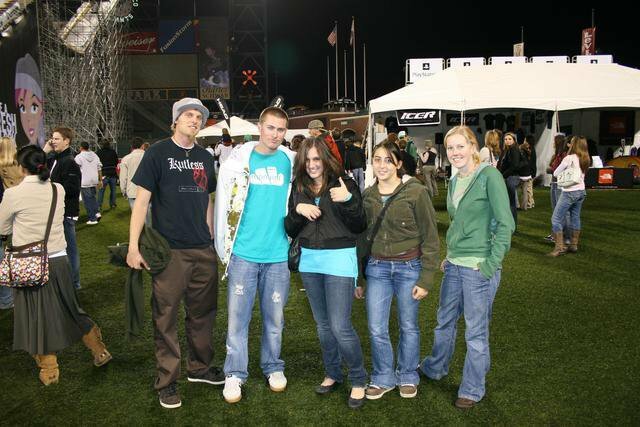 From L to R: Caleb Fauss, Casey Deane, Becca Babicz, Nicole and Caleb's wife. Ashley Battersby holds down the autograph table.